The British are going bananas over the U.S. election. The U.K. gambling industry is expecting more than £150 million ($186 million) to be wagered on the outcome of the 2016 U.S. presidential election, eclipsing the Brexit referendum, the Royal baby and all previous elections. If it surpasses £150 million, that would make it the biggest non-sport betting event in British history. More than £130 million ($161 million) in bets have been placed so far, and more money is flowing in by the second. "The bookies anticipate 35 bets per minute will be placed as Brits stay up into the early hours awaiting the final result," said Ladbrokes, a leading U.K. gambling firm. Competitor Paddy Power said roughly one dozen gamblers had placed "five-figure bets" on Tuesday as voters went to the polls. William Hill, another well-known bookmaker, said one woman staked €550,000 ($608,000) on Hillary Clinton becoming president. If Clinton wins the race, the online gambler stands to make a €220,000 ($243,000) profit. And two gamblers at Ladbrokes each placed £200 ($248) bets on Donald Trump back in the early days when the odds were stacked against him. If Trump wins now, these bettors stand to make a £30,000 profit each. 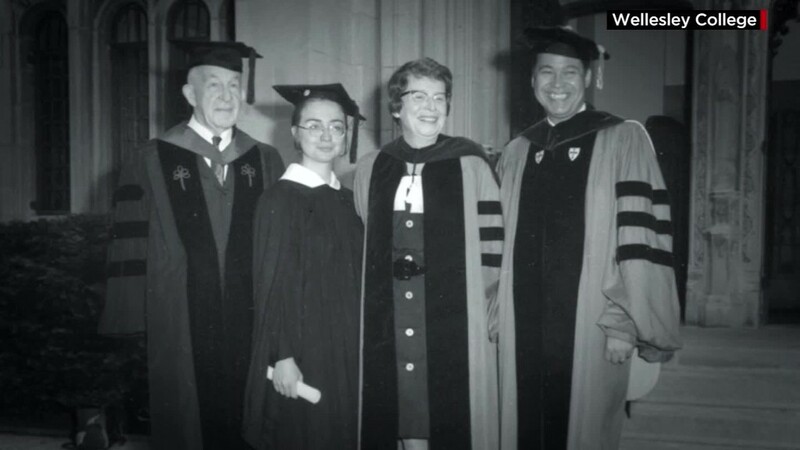 Larger bets are being placed on Hillary Clinton winning the 2016 election. Currently, the gambling firms show Clinton's odds of winning sit around 80% and Trump's chances are around 20%. However, that doesn't guarantee anything. Similar odds had been placed ahead of the Brexit referendum in June, with bookmakers expecting the majority of U.K. voters wanted to remain in the European Union. But the final tally showed 52% of voters opted to leave the EU. 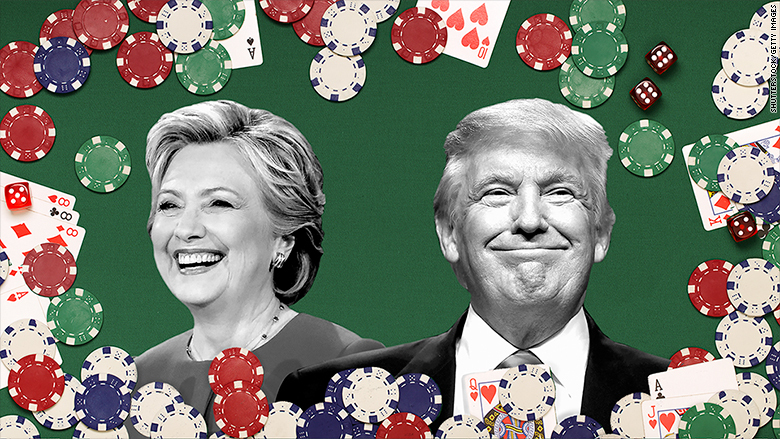 This gambling trend is also similar to Brexit betting because a smaller number of people are placing large bets on a Clinton win, while a greater number of people are placing small bets on Trump, the supposed underdog. "Trump's celebrity status has drawn interest from people who would've never bet on our political markets before," said Feilim Mac An Iomaire, a spokesperson at Paddy Power. Paddy Power made headlines last month by paying out about $1 million to customers who had bet on Clinton, saying the odds were so firmly in her favor that they wanted to get out of the bet. But then it kept taking in more wagers. "Paddy Power ... will be on the receiving end of its worst political result in history if Trump does manage to upset the odds," it said in a statement.